WATERPROOFING SYSTEMS based on sheets of synthetic composition of various types which, depending on their armour, finish or method of application, are successfully adaptable to the waterproofing demands of projects of all types. Sheet WATERPROOFING SYSTEM, based on sheets of flexible vinyl polychloride – PVC, designed as a waterproof barrier in the construction of all types of roofs, terraces, tunnels, tanks (safe drinking water certification), swimming pools, lakes and reservoirs, with permanent anti-root protection properties, also suitable for exposure to all weather conditions with extra ultra violet ray resistance. Excellent resistance to la elongation / stretching. Strong resistance to extreme weather. Properties include excellent weldability for thermal fusion. Sheet WATERPROOFING SYSTEMS, based on sheets of flexible Thermoplastic Polyolefin – TPO, armed with a central reinforcement, with high capacity polyester which, when combined with the polyolefin, produces a highly durable sheet with excellent resistance to tearing and puncturing. Perfect for systems capable of meeting the demanding waterproofing requirements for all types of roofs on buildings, semi-trafficable terraces (visitable), gardens, drinking water tanks, hard floor platforms, swimming pools, tunnels, retaining walls, expansion joints etc. Very high resistance to puncturing, abrasion and scratching (best resistance to such events of all the sheet systems). Safe drinking water certificate (international health register). 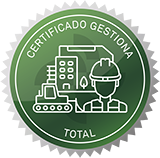 Environmentally friendly – “Energy Star” certificate (no toxic fumes emitted; state of the art technology in accordance with requirements for safeguarding the environment; energy saving). Sheet WATERPROOFING SYSTEMS based on sheets and/or mantles composed of terpolymer (Ethylene – Propylene – Diene) – EPDM obtained by calendaring and subsequent vulcanization. Systems designed for use in geographic areas with high variations in temperature (+120oC / –40oC).